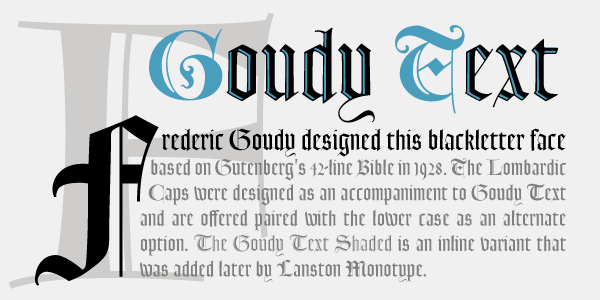 Frederic Goudy designed this blackletter face based on Gutenberg's 42-line Bible in 1928. 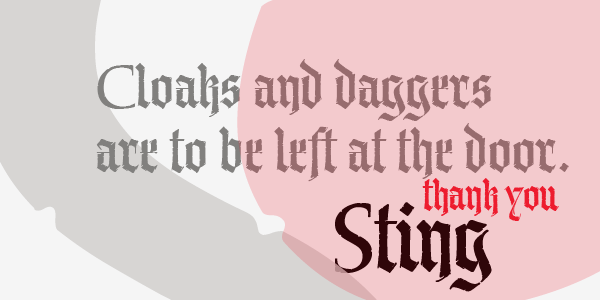 The Lombardic Caps were designed as an accompaniment to Goudy Text and are offered paired with the lower case as an alternate option. 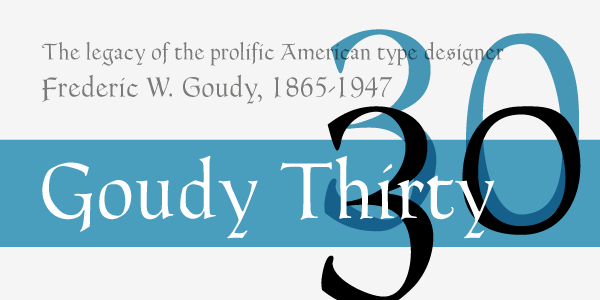 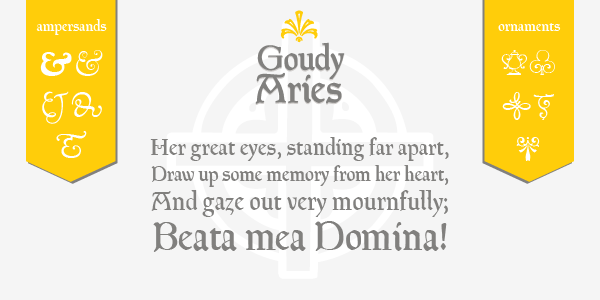 The Goudy Text Shaded is an inline variant that was added later by Lanston Monotype. 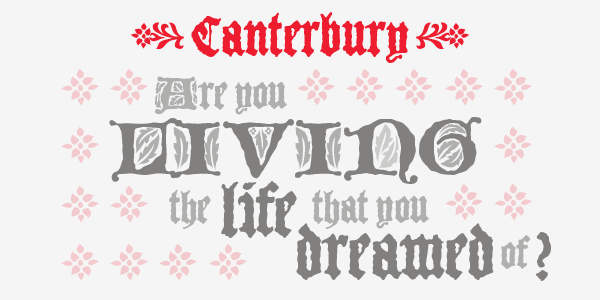 Both varieties of capitals, as well as an expanded Central European character set, are offered in the Opentype set versions.